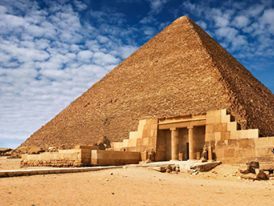 Tour to Pyramids of Giza and the Egyptian Museum Trip start to explore the Giza pyramids and the great pyramid and the great sphinx on shape lion body and human head and going to visit the Egyptian museum for visiting the Golden boy king tut . Our Egypttravelcc Tour guide will be waiting you. They will be holding a sign of Egypttravelcc, You do not need to look for them – they will be waiting for you and will find you.